Cathedral Basilica of St Louis. Undoubtedly one of the most beautiful structures I’ve ever seen. The inside is adorned with mosaics comprised of over 41 million tiles. It 76 years to complete all of the mosaics. Stunning! 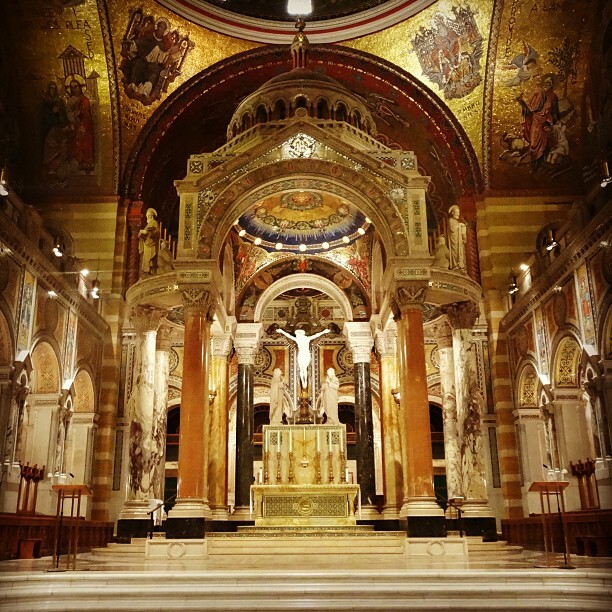 Home » Blog » Family » Cathedral Basilica of St Louis. Undoubtedly one of the most beautiful structures I’ve ever seen. The inside is adorned with mosaics comprised of over 41 million tiles. It 76 years to complete all of the mosaics. Stunning!